Over at Salon, fantasy writer Saladin Ahmed has a terrific essay about race in fantasy epics, focusing especially on Game of Thrones and its relationship to JRR Tolkien's Lord of the Rings cycle. His main question is really whether George RR Martin's contemporary tale is any better than Tolkein's tale at dealing with — for lack of a better term — the Jar Jar Effect, where species or peoples in fantasy stories resemble racist stereotypes. [JRR Tolkien's] half-sublimated wranglings with race are more complex and fraught than either his shrillest detractors or his most fawning defenders would have us believe. But there is some irreducible ugliness in his masterpiece that really can't be convincingly redeemed. The men of the global East and global South ("black men like half-trolls with white eyes and red tongues") are monstrous and evil, naturally and culturally inclined to bow to Sauron, and to make war on the good men of the North and West. The bestial visages of orcs bear a striking resemblance to racist caricatures of African and Asian facial features. Above all, to be dark-skinned in Middle Earth is to be part of a savage horde – whether orcish or human – rather than to be a true individual. The HBO production – which has been so remarkable on so many fronts - has exacerbated this hard-R-rated cartoonishness, bringing out some of the novel's more unfortunate tendencies. 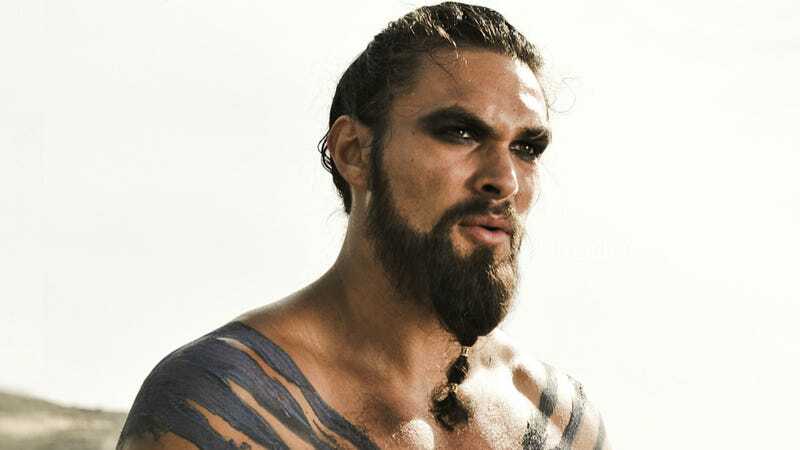 The show's depiction of the Dothraki has been positively cringe-inducing. In the novels, Martin's quasi-Mongol warrior culture is depicted in a problematically essentialist, but still complex fashion. But HBO has nudged Martin's creation fully into racial caricature by casting a seemingly random variety of colored people, and apparently raiding productions of both "Hair" and "Braveheart" to clothe them. Read the rest of the essay on Salon.